Attractively furnished holiday home in the beautiful Brabant landscape. 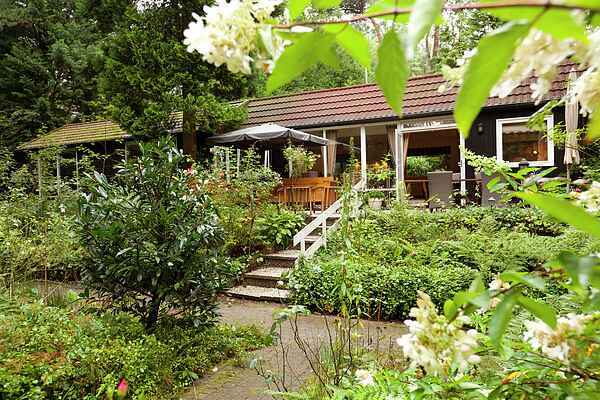 The house is situated in a beautiful natural surroundings, just outside the village Baarle-Nassau. You can enjoy the tranquility, only the singing of the birds in the woods will break the silence. Here you escape the hectic pace of everyday life. The house is ideal for families with children and nature lovers. You can make beautiful walks. From the apartment you walk directly through a gate into the woods. Outside nature and tranquility the area has also culture. For example, you can visit the museum Baarles, or one of the many monuments that Baarle Nassau and the neighboring Belgian village Barrle Duke have. You'll find such a house with 2 house numbers, the boundary in the center and many other attractions. Baarle Nassau has many shops, restaurants, cafes, boutiques and terraces. Every Sunday the shops are open. It is a village where you can relax. you will find a cozy and lively village center with shops,and on the other hand the tranquility of the countryside with many cycling and walking posibilities.